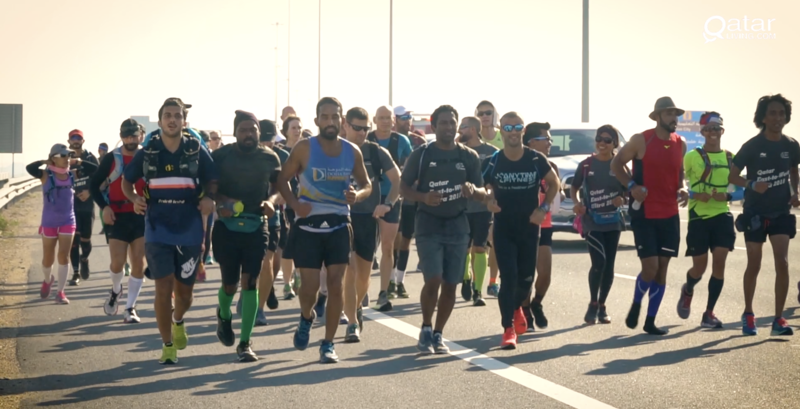 Qatar Ultra Runners are back to host a run. Horizontallly, from East to West of Qatar. This is not a race, but rather a challenge to run and cover 90K but you can run as far as you can. The challenge starts at Sheraton Park beside Costa Cafe on November 30th, 2018 at 4:30 AM, where Qatar Ultra Runners will brief everyone about the day and warm up to run. There will be resting stations and food breaks throughout the whole challenge. The run comprises 7 segments and 6 stops in which each has an aid station for fluids and refreshments refill. The run will start at the Sheraton Park (5:00AM) and the end destination will be at Dukhan Beach (9:00PM onwards). The running course will take place on roads, but there is 8K where it'll be off road. Qatar Ultra Runners' team members will be driving along the way following the runners to provide any needed assistance. In the unlikely event of extreme exhaustion, runners can rest for one or more segments in cars and carry on their run from a subsequent aid station when they feel better. It’s strongly recommended that all runners share their live locations with the organizers via WhatsApp in order to locate them in case of any emergency! After the whole run is complete, buses will be waiting at the finish line to drive the runners back to the starting point! To learn more about this event, how you can participate and road details, please click here! Are you going to participate? Let us know in the comments below. By Aditya Yadav1• 5 months 2 days ago.